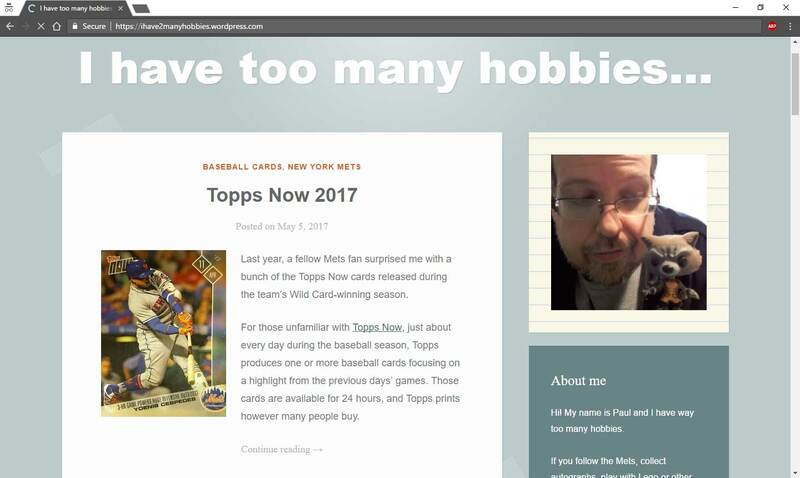 UPDATE: In the end, the card went for $1035...or about 2.5 RGIII autographs...or a really nice graded Andy Pafko 1952 Topps #1. Wil Wheaton, who played Wesley Crusher on Star Trek: The Next Generation and appears regularly as himself on The Big Bang Theory, recently cleaned out his garage and found a lot of amazing things that have been unseen for more than a decade. Among his treasures he unearthed was an autographed card that he had signed for a fan in he made an error while signing. 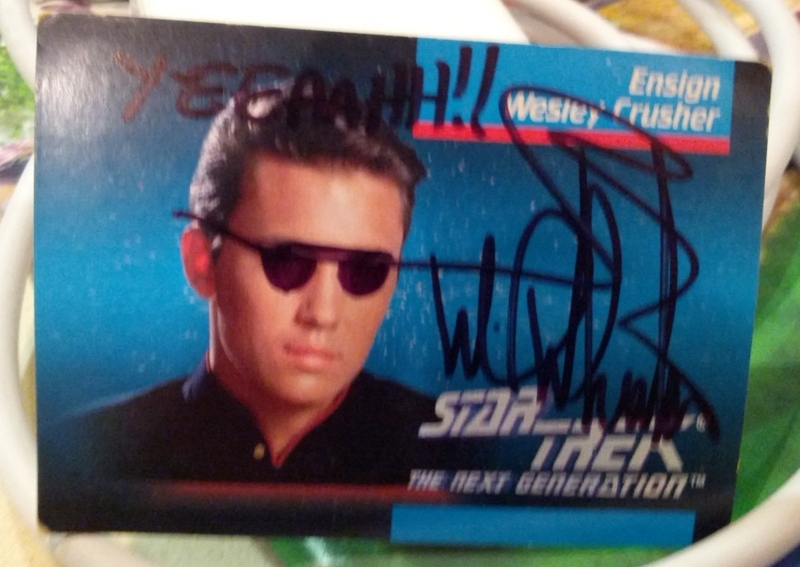 When he crossed the "t" in his name he went across most of his face and so to correct the error he drew a pair of sunglasses on Wesley and wrote "YEEAAHH!!" across the top. The card ended up not being used and collected dust until now. After Wheaton tweeted a picture of the card there was a huge amount of interest in it and so he decided to list the item on eBay and give the precedes to the Pasadena Humane Society and SPCA. 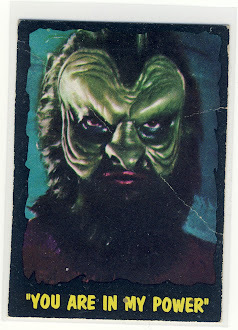 The card in question is from the 1992 Star Trek: The Next Generation set put out by Impel. Wesley is card #12 and you can find a copy for 50 cents. As I write this now, the card is at a price of nearly $1000 with a day and a half left. I'll update the post with the final results in a couple days. I think the best is the fact that he sold a dented ping pong ball for over 1100 dollards back in September for the same charity. (http://www.ebay.com/itm/A-crappy-dented-ping-pong-ball-I-found-in-my-garage-and-made-popular-on-twitter-/190724712013?) I think the best is the description he puts in his auctions. 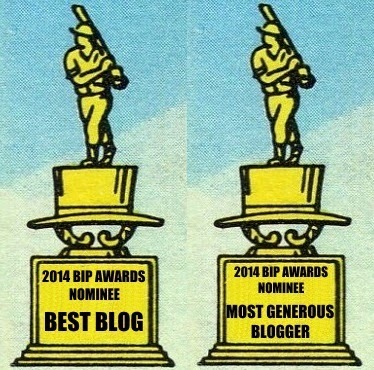 And he has a great blog too. And I just checked the card is over a grand now. I also should proof read my comments before posting and stop using the words "I think the best" all the time. I think that would be best. Nice write up Matt and continued safe travels. Love it when Wheaton is on The Big Bang Theory... Wheeeeatoooon!